Irrespective of how much beguiling your Magento store is, unless until it doesn’t receive a continuous flow of visitors, it’s a dead loss. Mere uploading and decorating a Magento store with bells and whistles isn’t all enough to confirm your success. Online players need to drive compelling strategies and ways to ensure a desirable influx of customers on their online shop. In addition, having a best of breed SEO strategy can only help you accomplish this goal. 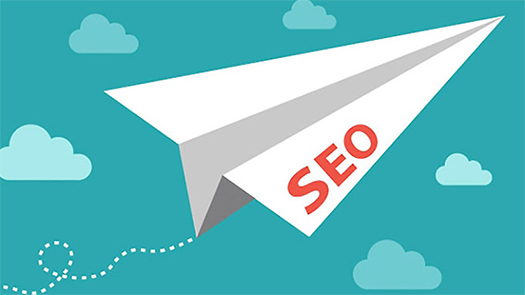 SEO or Search Engine Optimization is a highly sought-after practice used to achieve a desirable amount of traffic on a website and thus raising its profit bar. SEO is extremely crucial for the success of any e-commerce website. A good SEO can help you improve the likelihood of your Magento store and make it more visible to your customers. It also helps you built recognition among your visitors. While SEO is a lifeline of a website, it’s equally important to understand that merchants must avoid using unethical practices to climb the Google ranking. Increased traffic is of no use if it is achieved after forgoing brand identity. Also, once achieved a good ranking, never rest on your laurels because competitors can beat you anytime, so keep on maintaining it. In this post, we are going to discuss about some promising SEO strategies that you can implement on your Magento store. These tips will help you increase your website ranking and its visibility. Let’s talk about all of them in detail. It does not take a genius to understand that keywords are the most important component of SEO. They create a road map for a SEO practice and help you reach customers easily. 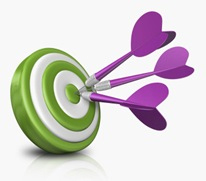 While planning SEO for your Magento store, make sure you only target relevant keywords. Avoid using popular but irrelevant keywords. Test the viability of your keywords with PPC and know how much competitive your chosen keyword is. The default structure of Magento does not come with sufficient SEO features. You need to add and remove certain options to make your website search engine optimized. In addition, there are also a lot of complex issues associated with Magento when it comes to SEO. The most common ones are, when dynamic pages are being indexed and the second one is Magento’s rewrite functionality. Both issues are quite serious, however the problem related to dynamic pages is more prominent. Here, each category that has filters and dynamic variants are getting indexed. However, there are number of ways to pin it down. You can make use of canonical tags that inform Magento that variants are secondary variants of the primary category page. You can find this option in the Magento dashboard. If canonical tags won’t help you out, then you can use meta robot tags. Generally it is recommended to take the help of Magento extension for applying noindex. This also lets you submit a request if you do not want dynamic pages to get indexed. Meta title and Meta description are the most crucial SEO elements. Setting them properly is all what you need to boost the SEO of your Magento site. Once you are done installing Magento, the store provides you with some sample content as a reference for its title and description. This sample needs to be edited accordingly. Just go to the Configuration page and click on the Design tab on the left. After this, go to the HTML Head page, use the options to edit meta title and description for your homepage. Your website URLs need to be clean and simple enough to make your website more search engine friendly. To simplify the URLs, navigate to the System > Configuration > Web > Search Engine Optimization. Now, on the left, you can see the URL options – just set them to “Add Store Code to URLs” to No. The option will help you get rid of those complicated product/category codes from your URL and will make them more search engine friendly. Online merchants can make the most out of the product and category images to attract more visitors to their website. For this, we recommend you to give relevant names to your product images, for example – “Lee-Cooper-Denim-Full-Sleeves-Shirt-blue.jpg” instead of “image546.jpg”. Also, whenever you add an image of a product, make sure you give it a meaningful description, including title, alt tag for the given image. The Title section provides the text to a visitor when they hover their mouse on a particular product image. Alt tags help search engines read your tags. You need to add keywords here. The description section holds the description of the image. It is a nice way to make your website accessible to those who are using “image reader” software. These five tips will help your website attract more traffic; increase its search engine ranking, and visibility. Implement them and see the difference. Claudia Johnson is a professional PSD to responsive Magento theme conversion expert working with Magentax Ltd. She has delivered interesting write-ups on Magento development tips and tricks for novice and professional Magento developers. 63 queries in 0.382 seconds.